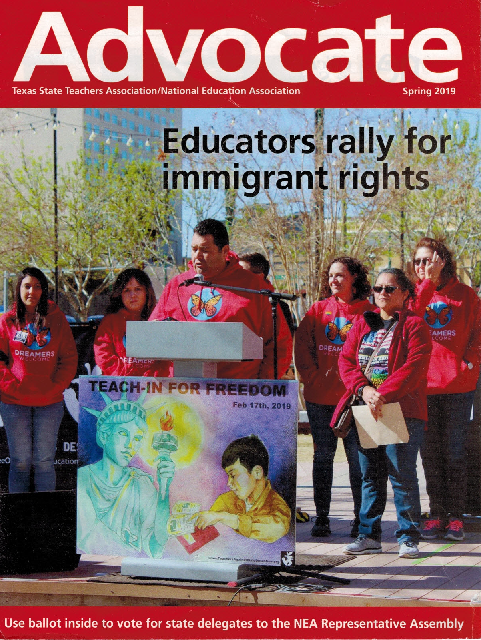 Among the more frustratingly humorous* things with which I have had to deal over the years of bringing you the news and commentary of Texas on Pratt on Texas, is the embarrassing level of ignorance of some school teachers who do not think that the TSTA is a union and a union committed to the Leftist principals of the global labor movement. If a TSTA member, I’d be asking why actual Texas teacher issues currently before lawmakers were not the priority for the magazine’s cover when coming out mid-legislative session. But then again as a questioner I wouldn’t likely be a member of a union that exists to tell labor what to think and do. 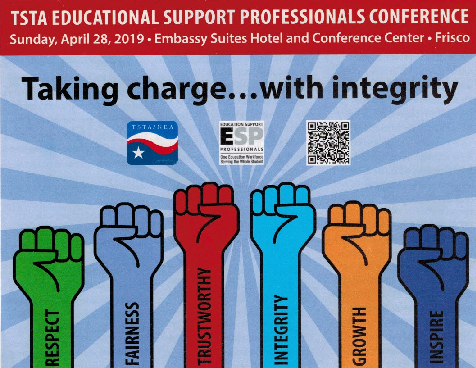 On the back of the magazine is an advertisement for one of TSTA’s conferences with the graphic being six varying height clenched fists. For those who still don’t understand what type of group you are backing with TSTA membership, please note: “Fist images, in some form, were used in numerous political graphic genres, including the French and Soviet revolutions, the United States Communist Party, and the Black Panther Party for Self-defense,” according to A brief History of the “clenched fist” image by Lincoln Cushing. TSTA uses the classical version used by many communist parties worldwide. During Texas legislative sessions I have well documented how groups such as TSTA and AFT are less than truthful on political issues. This year it has been statements that union opposition to a teacher merit pay program is because such rely on the standardized tests these groups have spent years demonizing. The merit program proposed in the House and Senate does not require use of the STAAR or other standardized test. Truth has never been a diluting agent for the dishonest propaganda of teacher unions. *I say such is “frustratingly humorous” in the sense of dark humor; a demonstration that some of those to whom we turn to for the instruction and formation of our children are sadly too uninformed to be trusted with such.